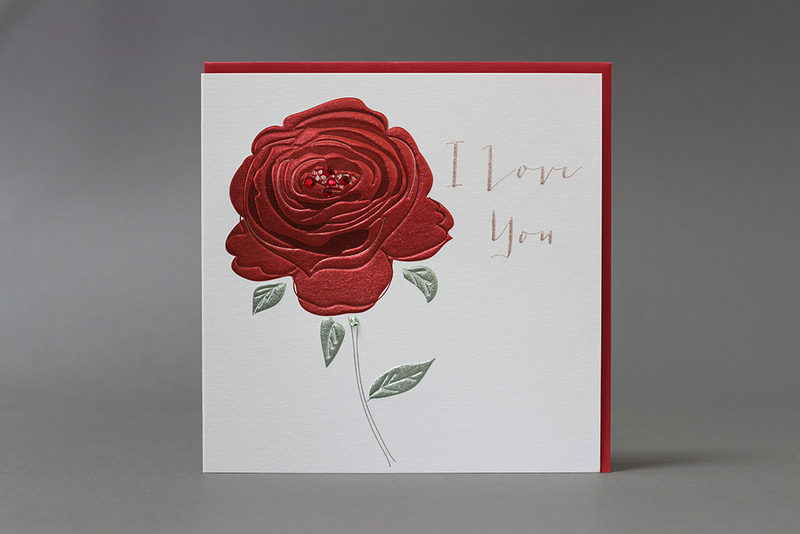 The 2015 Valentine’s Day collection takes inspiration from the current trend for romantic, rambling roses seen in fine Italian gardens, rose arbours and weekend trips for two. The emphasis this season is on fine romance and can be seen in the collection colours of pale rose, true red and metallic champagne. A Valentine staple in true red embellished with fine crystals and foil embossed with modern metallics in the classic Paloma style. Send special Valentine memories of romantic trips for two. 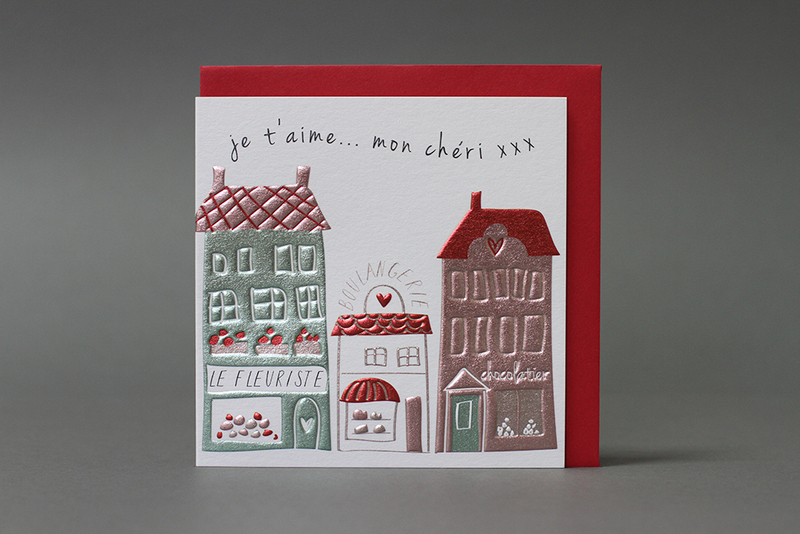 Inspired by the fragrance of rose blooms, crisp pastries and fine champagne on a bustling European street. 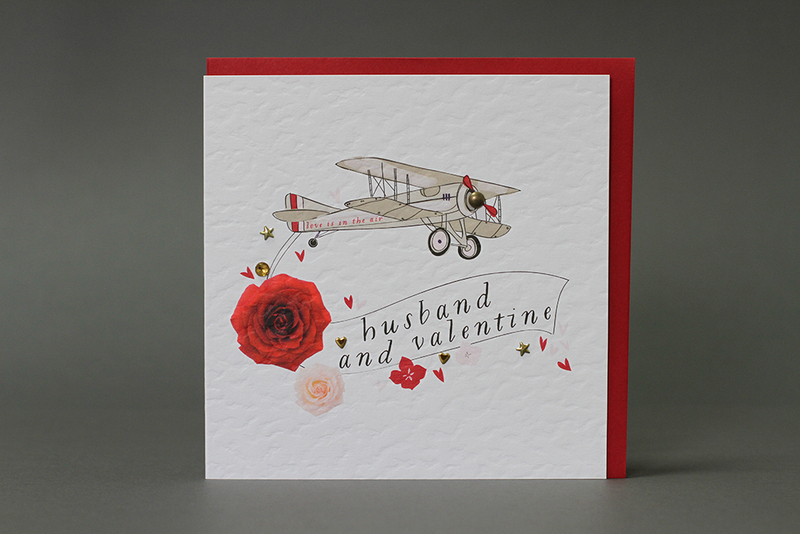 Take flight in an old classic, the perfect Valentine gesture! 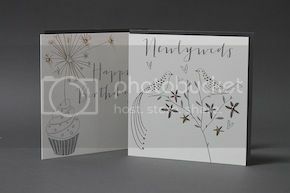 To our lovely shoppers - look out for our fantastic designs at your local stockists, and remember to get your send in to your romantic interest! 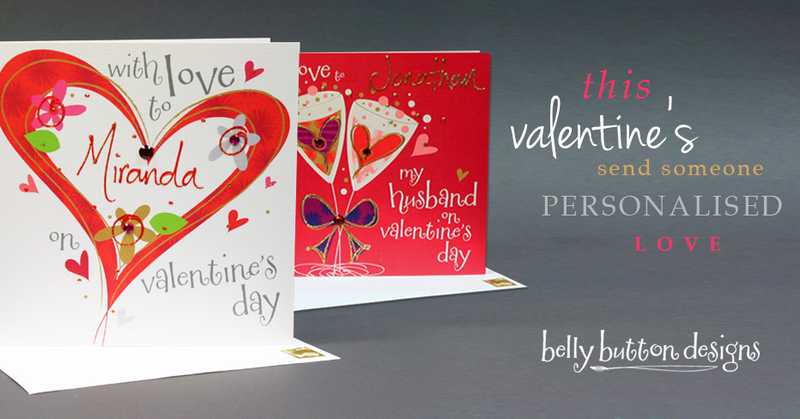 For a Valentine's send that is truly special click here!